Have you ever wanted to keep a diary But didn't know where to start (pen and paper might be one place), or lacked motivation (the usual killer)? This App could be just up your street, as it contains some nice touches and helps you stay on track. The home screen gives you access to a number of options, as well as giving you statistical feedback on where you are with your diary. This is where it all happens. Press the large plus sign and start entering information for your diary. This can be text, as well as a photograph (either from your photo library, the shot you are going to take, or the last photo taken (this is an excellent idea)). You can also add the weather, your location (nearby place, current location, or even search on a map), as well as adding tags and favourites. This displays a summary of your entries in time order and is searchable. Only entries with photographs are listed in date order. Quickly find any entries either in alphabetical order, or by frequency of tag. This displays a monthly calendar (complete with the ever-useful 'Today' button). Pick a date and see your entries for that day. Only your entries that are starred (favourites) are listed. this can be extremely useful for entries that are incomplete, so that you can easily find them later to add the missing information. Here you choose whether or not to sync with iCloud and/or Dropbox, and whether or not to use a pass code for your diary. One of the features that will make a difference to the novice diarist is the reminders function; you can't ignore it. This is also the place where you can choose entries to be exported as PDF, the font and size, as well as detailed defaults for your posts. If you're interested in keeping a diary and haven't yet managed to organise and motivate yourself, this is the solution. The App works, allowing you to concentrate on your diary. In order to make your life as easy as possible, the App needs access to your photographs but, these are not shred anywhere (a good thing); location services are also potentially made available. Sharing via Twitter and Foursquare is also directly enabled. If you use Dropbox and/or iCloud then, the usual precautions should be observed. Be the next Samuel Pepys. 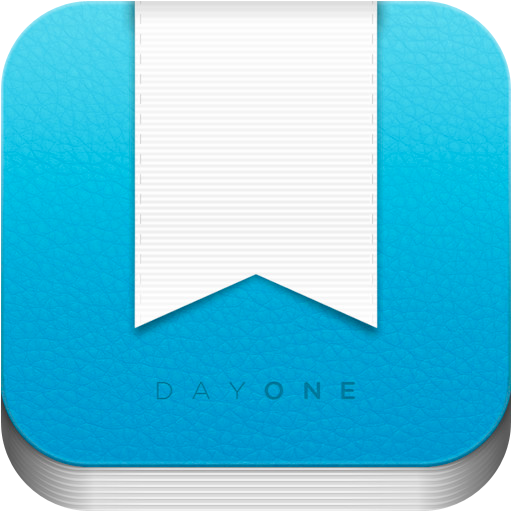 You can get Day One (Journal/Diary) here and support for the App here. Good idea david, thanks for sharing. The developer advises that there has been an update to version 1.11.2 of the App. - Fixed photos not preserving edits made in the Photos app. - Fixed location at times incorrectly being in the Atlantic ocean. The developer advises that there has been an update to version 1.11.3 of the App. - Bug fixes for "Fall 2013"
The developer advises that there has been an update to version 1.11.4 of the App. We've fixed TextExpander* and Camera+ issues and the odd grayscale image bug. We updated the app icon for iOS 7, while continuing to refine our beautiful iOS 7 update. Full iOS 7 interface update coming soon! *TextExpander is now disabled by default. From the Day One home screen tap Settings > Advanced > TextExpander to enable it. The developer advises that there has been an update to version 1.13 of the App. - Improved app responsiveness and speed. - Tap "new entry" button in read mode to create a photo or text entry. - Implemented iRate prompt (only prompts once). The developer advises that there has been an update to version 1.14.1 of the App. - Tumblr sharing now supported in Publish. - Train/metro icon for motion activity. - Eliminated crash when trying to use Publish features. - Improved search for Chinese, Japanese, Korean, and other multi-byte characters. - Photos don't hide in landscape mode. The developer advises that there has been an update to version 1.14.2 of the App. - Fixed an issue that caused Day One to crash upon launch for some users. - Fixed a crash on iPad when tapping off of action sheets. The developer advises that there has been an update to version 1.15 of the App. **Today Extension (Widget)**-Get inspired with flashbacks of past entries. **Share Extensions**-Now you can easily send data to Day One without having to open the app! **Touch ID**-Unlock your journal with your fingerprint. - Optimized for the new larger displays. NOTE: As part of the upgrade process from iCloud to iCloud Drive, your data is moved by Apple to new servers. This process could take hours or days, particularly during the busy period when iOS 8 is first released. Because of this, you may not see some or all of your entries for a period of time. If this situation persists for longer than two days, please submit a support ticket and we'll assist you: http://bit.ly/DayOneSupport. The developer advises that there has been an update to version 1.15.1 of the App. - NEW: On/off toggle for options in Day One > Settings. - NEW: “New Entry” button. - FIXED: User interface improvements. - FIXED: Day One missing in iOS Notifications. - NEW: URLs appended to the end of shared Safari webpages. - NEW: iPhone 6 and 6 Plus visual improvements. - Crashes and hanging related to iCloud syncing. - Crash when setting up Dropbox syncing with Passcode/Touch ID enabled. - Various Passcode and Touch ID improvements. - Black screen in Day One after tapping "Create New Entry" button in the Today Extension. - Crash when adding photos from a shared photo album. - Incorrect date label above photos in Today Extension. - Crash related to share options when exporting PDFs.